Navigate the urban jungle wearing these chic Roberto Coin earrings from the Pois Moi collection. 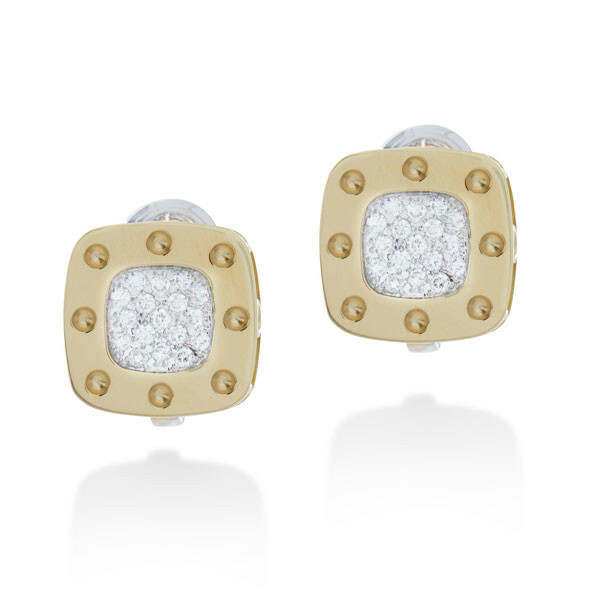 A square of scintillating diamonds is framed in stunning 18kt yellow gold with small perforations. The pair will remain comfortably in your ears, as they are secured by omega backs. With glitzy flair, these Roberto Coin earrings will get you noticed in a heartbeat!